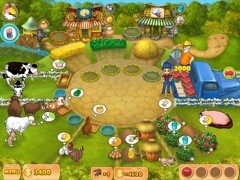 Get your hands dirty with Farm Mania! Gramps needs some help on the farm this summer, and Anna has agreed to come help him out. 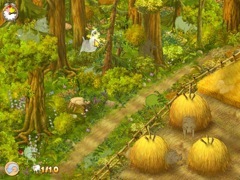 Plant, tend and harvest, then use your profits to upgrade the farm and buy baby animals to raise. You also get to put your domestic skills to work as you bake tasty bread and pies, and make warm scarves and gloves! 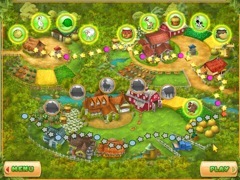 Hidden object mini games and 60 farmtastic levels will insure that you develop a Farm Mania!